In less than a week I’ll be leaving chilly Melbourne for sunny Los Angeles to attend the Swatch TTR Art Rules awards night with two other finalists. 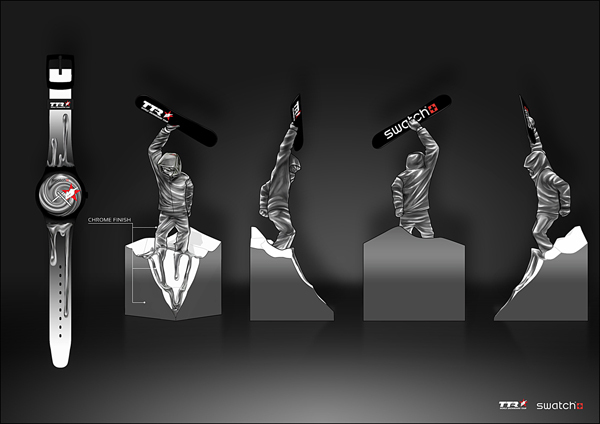 The contest involved applying a new design to the existing trophy and limited edition Swatch watch for the 2012/2013 TTR world snowboarding tour. My entry was chosen out of 3000 other participants as one of the lucky finalists. The winner will be announced at the awards night on the 11th and will win their design on the tour trophy and watch and also a paid trip to New York for two. Stay tuned!